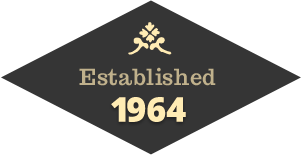 In 1964, the first outdoor gear shop in Western North Carolina opened as Diamond Brand Camping Center. Starting in a 900 square foot garage, what began as factory seconds store, grew and became what is now known as Diamond Brand Outdoors. Our continued dedication to quality brands and high service is echoed throughout our retail stores. We are honored to have been voted one of the Best Outdoor Gear Shops in WNC for 15 years in a row, as well as being recognized nationally as a Top 100 Outdoor Specialty Retailer. We have also been voted Best of Outdoor Store and Best Outdoor Company by Blue Ridge Outdoors. The company operates two Diamond Brand Outdoors locations offering premium outdoor gear and clothing as well as a discount outfitter named Frugal Backpacker.